With Thanksgiving coming up, what better time to get to know the iconic birds that are very often the center of the festivities? 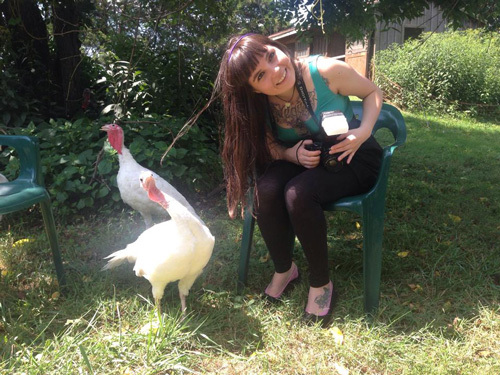 Intelligent, sensitive and highly social, there’s a lot you probably don’t know about turkeys. For baby turkeys, mom is the center of the universe. If separated, the youngsters will panic and let out a lost call to which the mother bird will respond by running towards them and gathering them comfortingly under her wing. You know that bumpy looking skin on a turkey’s head and neck? Well as it turns out, that’s one of a turkey’s favorite places to have a stroke. 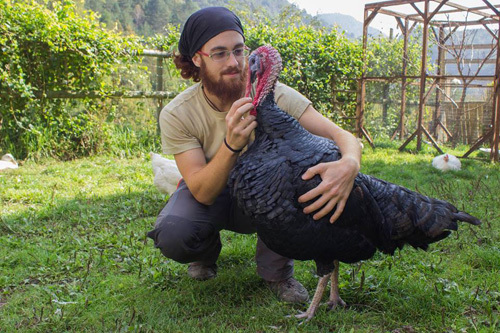 Just ask Nicolau from Gaia Sanctuary! 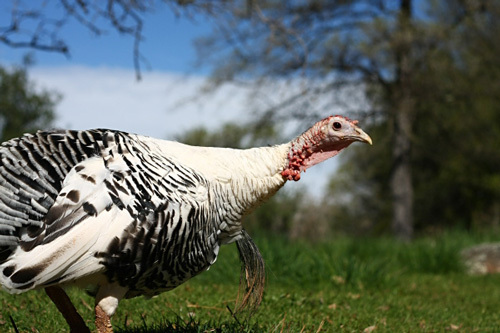 Naturally inquisitive, turkeys like to explore their surroundings and get to know the people they come in contact with. This little guy from Poplar Springs Animal Sanctuary fancies himself a stylist, and whenever someone takes a seat in this chair, they are guaranteed a makeover. Given the chance, turkeys will track down the most delicious treats to feast on, and one of their all time favorites are blackberries. No matter how brambly that bush may be, they’ll always find a way to surf over the top and get their little beaks on the ripest pickings. Masters of geography, turkeys have the outstanding ability to learn the precise details of an area more than 1,000 acres in size — and here we are relying on our GPS to get us around. 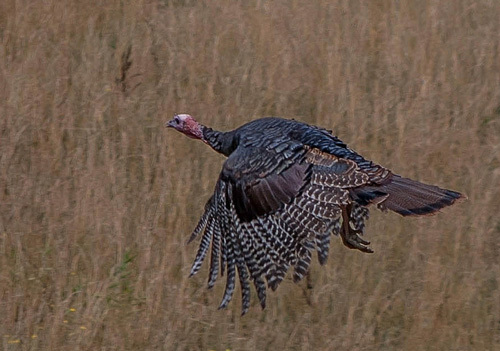 While only for short distances, wild turkeys are able to fly up to an incredible 55 mph. 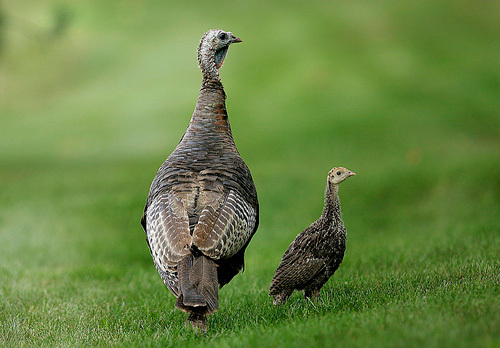 Unfortunately, domestic turkeys can’t fly at all because they have been selectively bred to be so big that they are unable to carry out their natural instincts. Most people don’t expect that animals like turkeys would enjoy listening to music, but the truth is they are intelligent beings and they know how to get their groove on like the rest of us. Check out Guille doing his own version of the flamenco in the video above. 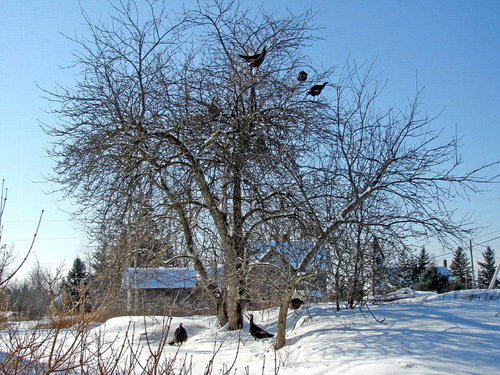 Although usually seen wandering about on the ground, turkeys will always choose to sleep up in the trees. They flutter up at dusk and fly down at dawn to begin their daily rituals. 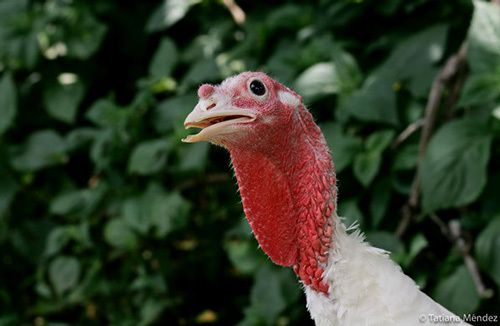 Every singe turkey has their own unique voice, with more than 20 distinct vocalizations, which is how they recognize each other. Male turkeys gobble to attract attention from the ladies and show up other guys, and this gobble can be heard from over a mile away! 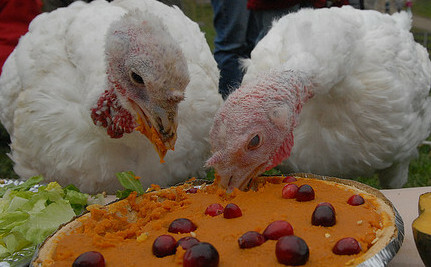 Despite there being endless delicious cruelty free choices available, an estimated 46 million turkeys are killed for Thanksgiving dinner in the United States. 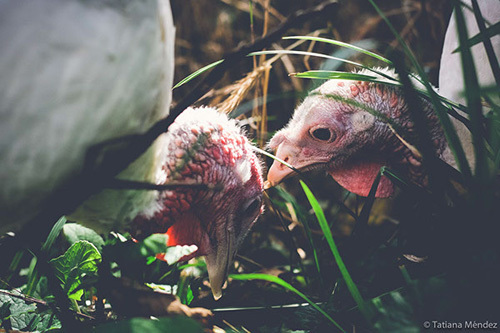 Turkeys are loving, feeling, and intelligent individuals and if you have the chance to visit an animal sanctuary, why not spend the holiday feeding the turkeys a feast (like they do at Farm Sanctuary) instead of feasting on them. Amazing how most of these hairless apes.. thankfully not all.. or this planet would be as lifeless as the moon in a year (who actually think they're attractive and and the center of the universe, and laughably, intelligent) and who look so innocent in their cribs grow up to be ruthless, planet destroying monsters. What demonic switch in their brains converts the human mutated monkey to an anti life psychotic? Lovely pictures and video. Thank you. I did not know how fast a turkey could fly! That is amazing. I would figure a turkey could be like any other domesticated animal as far asbecoming used to human handling. "The thinking man must oppose all cruel customs no matter how deeply rooted in tradition or surrounded by a halo. We need a boundless ethic which will include the animals also." - Albert Schweitzer, physician/Nobel Laureate. By the way: Turkeys DO NOT drown when it rains because they look up, they are not stupid. That is a MYTH. Turkey thoughts; for those with acreage who want to raise birds with negligible feed inputs, turkey chicks are best. From my experience they did not even finish their bag of starter feed. They were free range, foraging for bugs, grubs and grasses. They had no use for their shelter, sleeping high up in hardwood trees (contrary to 6. and 8. the white domesticated turkeys I had did fly). And quite sociable, not nasty like geese. Missed a picture once of the 12 of them sitting on the seats and seat backs of a double glider swing. Would still be collecting royalties of that missed picture for Farm Store calendars. They could also be vicious to each other, pecking and wounding their partner, possibly because of jealousy if you have a small number. I never experienced this with my 12 white turkeys, but was given 2 brown one's because the owners became emotionally attached. The abused female partner had to be disposed of, the wound had infected her badly.